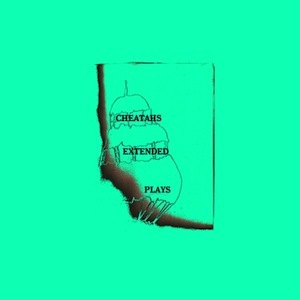 The Cheatahs are named so due to the original member Nathan Hewitt “cheating” on his previous band, and we can’t help but congratulate him. A combination of their two prior limited-edition EPs, Coared and SANS, Extended Plays blends together the melancholic elements from each release to create something that links together remarkably well. Lead single “The Swan” lends itself to the shoegaze genre, with distorted vocals that give the entire song an essence of ’90s alternative radio. Hitting the same buttons, “Coared” and “Fountain Park” deliver similar sounds. Subtle recording variances, from uptempo to blasts of wry vocals, don’t deter the overall easy listening of the album. The charmingly unpolished sound makes it feel like the kind of nostalgic, grassroots album you’d listen to on a long roadtrip when you’re still at that age where you feel endearingly invincible. It fills you with a strange familiarity of long-gone summer days, and I’m sure it’ll be making an appearance on a lot of playlists when the sun decides to play along.